No lockset and accessory order would be complete without the proper matching miscellaneous goods; we've got door stops, hinge stops, pocket door hardware, door viewers, cabinet hardware and anything else you might need to complete your next job. 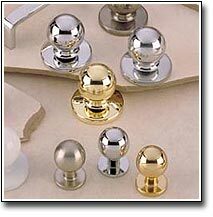 CB Hardware stocks these related items to add that finishing touch to a complete hardware package. We've also got these products in all of the matching finishes. 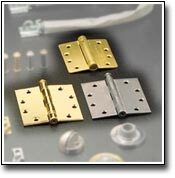 So, call us at CB Hardware and let us show you how we can supply all your door hardware needs, down to the smallest details. We're the one-stop supplier for all your hardware needs.